NEW YORK – Makers of the popular Discovery network series "Deadliest Catch" are heading south to a fishing village in Oregon for a spinoff. The new series, called "Deadliest Catch: Dungeon Cove," is set to premiere next fall. 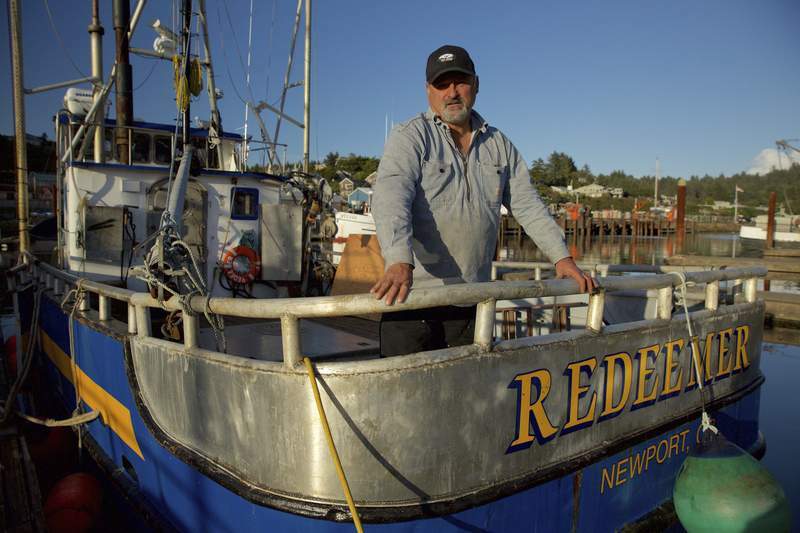 It will focus on families involved in the Dungeness crab fishing industry in Newport, Oregon, the network said Friday. The announcement doesn’t mean that the original series, which is set to begin its 12th season in the spring, is winding down, said Joseph Boyle, Discovery’s executive producer for the show. Discovery executives were intrigued by the spinoff proposal from Original Productions, which makes "Deadliest Catch," he said. The original series, about fishing boats in Alaska’s Bering Sea, is one of the network’s signature programs. The industry around Newport was interesting to Discovery because fishermen race to catch as many fish as they can during a season, as opposed to working with a quota, he said. "It’s every man for yourself," Boyle said. "They go out there and fish their hearts out." The boats also need to navigate massive waves, sandbars and currents. "It’s just treachery on the water," he said. "It’s a very, very deadly and dangerous place to fish." Discovery hasn’t decided whether the new show will begin after the upcoming season of the original series ends sometime in the fall or if they will overlap, he said.